Is your son too fond of dinosaurs and he wants prefer the bedroom decorated in this theme? This cotton army green curtain has a cool print of colored dinosaurs and fits perfectly in a cool bedroom. This fabric is perfect for decorating a boy's room. 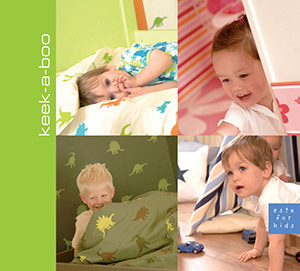 You will find this fabric with dinosaurs in army green (184606) the collection Keek-a-boo.